Open pulmonary resection is considered the gold standard treatment of early-stage non-small cell lung cancer (NSCLC). However, in the last decades, the use of minimal-invasive techniques has given promising results. Survival in lung cancer, after surgery, depends on the number of pathological nodes (pN), thus lymph nodal upstaging can be considered a surrogate for surgical quality of the procedure. 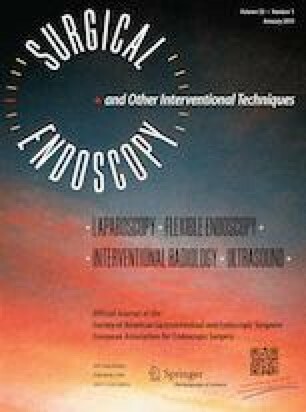 Several studies have demonstrated a lower rate of upstaging in video-assisted thoracic surgery than in open surgery, suggesting an approach-related difference in lymphadenectomy. Features of robotic technique could consent a lymph nodal dissection similar to open surgery. The aim of the study is to compare nodal upstaging between thoracotomy and robotic approaches to evaluate the oncologic radicality. Between January 2013 and December 2016, 212 consecutive cN0 NSCLC patients underwent lobectomy and lymphadenectomy (N1 + N2 stations) by either thoracotomy (Open Group) or robotic surgery (Robotic Group). Lobectomy and lymphadenectomy were performed in 106 cN0–cN1 NSCLC patients by robotic surgery and in 106 cN0–cN1 NSCLC patients by open surgery. A mean of 14.42 ± 6.99 lymph nodes was removed in the Robotic Group (RG) and a mean of 14.32 ± 7.34 nodes in the Open Group (OG). Nodal upstaging was observed in 22 (20.75%) RG patients and in 19 OG (17.92%) patients. Robotic lobectomy for clinical N0–N1 NSCLC appears to be equivalent to thoracotomy in terms of efficacy of lymph node dissection and nodal upstaging. Given that the nodal upstaging is a surrogate of quality of surgery, we can consider robotic lobectomy an appropriate procedure which ensures similar result to the open approach. Thanks to Teresa Hung Key for proofreading. Dr C. Zirafa, Dr V. Aprile, Dr S. Ricciardi, Dr G. Romano, Dr F. Davini, Dr I. Cavaliere, Dr G. Alì, Prof. G. Fontanini, and Prof. Franca Melfi have no conflicts of interest or financial ties to disclose.